Whether you are a professional carpenter or a "do-it-yourselfer", you'll need a tool box to keep your tools neat and organized. There is nothing more aggravating than looking for a specific tool and being unable to find it! 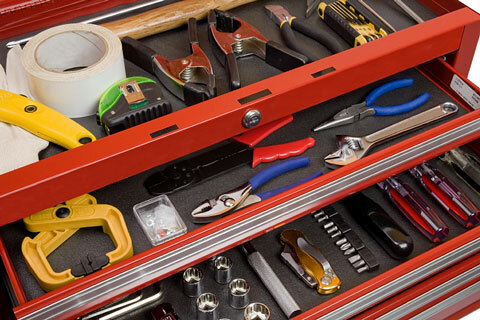 A handy tool box can ensure that your tools and workshop items are readily available when you need them. 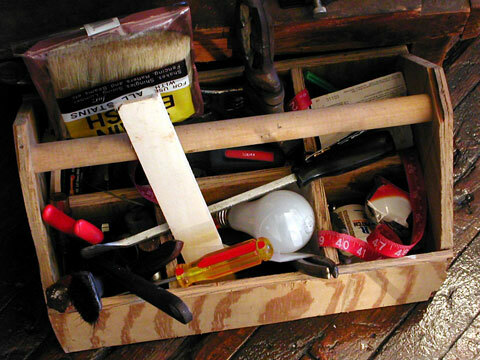 The first tool boxes were nothing more than useful shipping and holding containers such as wood or cardboard boxes. While a few hardy souls may still find such storage containers perfectly acceptable, most people who use tools regularly appreciate a mass-produced tool box. Just as it sounds, a tool box is a portable storage chest for tools. Tool boxes are typically constructed of steel or plastic and usually feature top or side carrying handles, locking hasps for security, and piano hinges for durability. They come in a range of sizes, depending on your needs. People who make their living with tools generally prefer a larger tool box that can hold all their items, while homeowners who need to store the basics — hammers, nails, tape measures, and screw drivers, for example — benefit from smaller, lighter versions. Most tool boxes include lift-out tote trays and dividers for storing small items and accessories. Heavier models often incorporate wheeled carts for easy transport. Tool boxes are configured differently for different trades, and sometimes include various tool organizers or parts drawers. For instance, a mechanic's tool box may feature socket set dividers whereas a carpenter's tool box may feature drill bit holders. Trades people often mount large truck tool boxes in the beds of their pickup trucks, where they can store a full set of tools for use at the jobsite. Large tool chests, designed to hold machine tools like sockets, taps, and wrenches, are often used by mechanics and machine tool workers. Most of these include shallow sliding trays that allow tools to be quickly found and easily accessed. 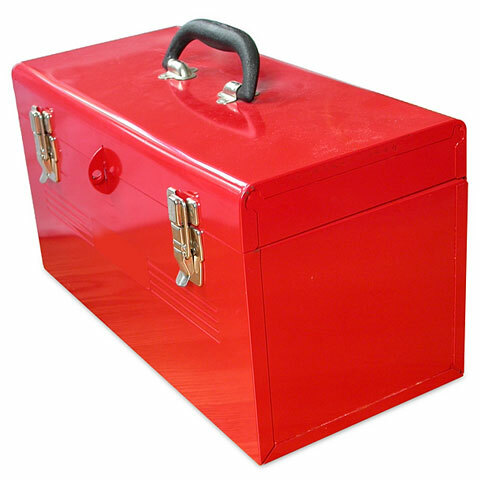 Tool-Boxes.us features a basic tools overview plus a directory of selected tool storage product suppliers and information for your shopping convenience. Some of these vendors offer a range of tool box size and color choices which you can order online. Snap-On – Offers a broad selection of quality automotive tool boxes, tool storage solutions, and tools. Kennedy Manufacturing Company – A "Tool Box of Choice." Professional tool storage from a company with over 90 years of experience. They feature a series of hand-carry tool boxes in cantilever, professional, tote, and do-it-yourselfer styles. Mac Tools – As a professional hand tool company, Mac Tools also offers tool chests, work stations, and portable tool boxes. Their tool storage products include a cantilever tool box, tool rolls, and wrench rolls, as well as mechanic tool bags and heavy duty equipment cases. Waterloo Industries – Supplier of tool storage products with 80 years of experience. Sears Tool Storage – Craftsman tools and tool storage units are designed to deliver strength, precision, and durability. Stanley – Offers a series of industrial and consumer quality tool storage products. Stanley Vidmar – Offers a series of heavy-duty tool boxes for industrial applications. Jobox – A manufacturer of truck tool boxes and job site tool storage products. Knaack – Van, truck, and jobsite tool storage boxes from Knaack Manufacturing Company. Power tools for contractors and homeowners.